Ohhh new places. Today’s post is brought to you by Verizon Wireless’ phone tethering. Have you ever added up how much your Internet costs every year? It’s gross. Then again–so are data overage charges…We moved into our new place on Saturday in the rain, and everything went surprisingly smoothly (thanks to family and friends!). I can’t tell you how different this kitchen is to the one I’ve been working in! Until everything’s unpacked and in its place I’m going to share some recipes I have in reserve. 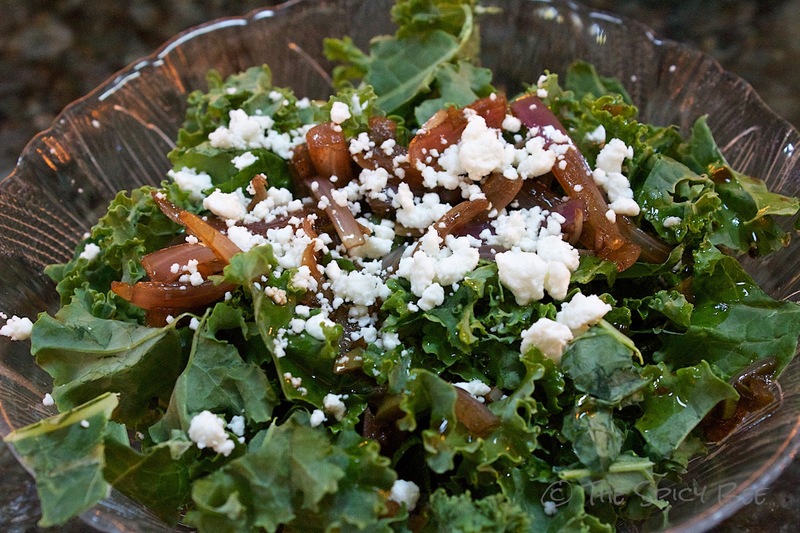 I hope you enjoy this recipe for a kale salad–this one is Ktam’s favorite way to eat kale. It will make some of the pickiest kale eaters happy. Put the kale in a large serving bowl and leave at room temperature. Meanwhile, heat the oil in a small saucepan on medium-low heat. Add in the garlic and onion and cook until soft (approximately 6 minutes). 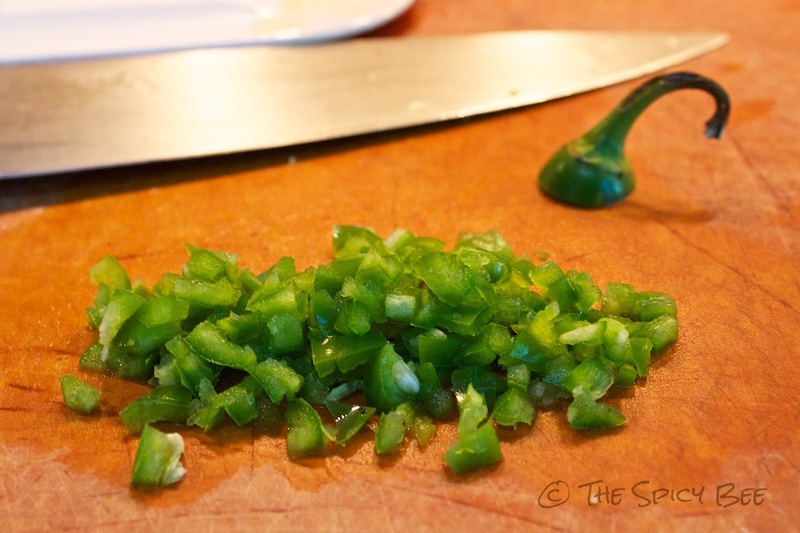 Add vinegar and chile pepper; cook for a minute. Pour this mixture over the kale and toss. Season with salt and pepper to taste and serve with goat cheese crumbled on top (serves 4). I can’t wait to see posts about your new kitchen! I love kale and can’t wait to try this salad out! Do you find that you need to do anything other than thinly slice your kale to make it more edible raw? I love cooked kale… but, I have only ever had 1 kale salad I enjoyed. And, it was literally massaged and then drenched in a delicious dressing. Your salad looks delish! Can’t wait to see what you get up to in the new kitchen! I loooove kale salad!! I used to never eat raw kale but then there are so many great raw vegan kale salad recipes, now I prefer it to cooked! This sounds great but I’m a little scared of the fresh peppers. ;P Will have to try sometime, though!